As the World Congress of the IACL soon comes to a close in Seoul, this is an opportune time to reflect briefly upon how Korean human rights and public interest lawyers have evolved within their legal profession and how they have been able to advance democracy and rights protections in the Republic of Korea. The start of rights lawyering can be traced back to the colonial era when a small number of Korean lawyers handled cases on behalf of those arrested for resistance by Japanese authorities. The outbreak of the Korean War, its aftermath, and political struggles gave rise to a few examples of lawyers defending opposition parties and newspaper publishers, but one outstanding representative during this time was Yi Tae-yeong, the first female lawyer in Korea, who founded the Korean Legal Aid Center for Family in 1956 and worked tirelessly to combat gender discrimination in the existing family law. Yi Tae-yeong was not labeled a human rights lawyer at the time, but her unflagging dedication to legal reform for gender equality would certainly have qualified her as one. Around the same time, another lawyer, Yi Byeong-nin, led efforts for a bar association independent from the state, later becoming president of both the Seoul District Bar and Korean Bar Association in 1964. He insisted that lawyers had a professional duty to safeguard human rights, making sure that this language was prominent in the by-laws of the Korean Bar Association. His death in 1986 inspired about 30 lawyers to form Jeongbeophoe (Lawyers for the Realization of Justice) to handle cases brought against the state. Jeongbeophoe could not operate openly since it could not register with the state, so it functioned publicly as the Human Rights Committee of the Korean Bar Association, giving it some protection in bringing cases against the state in the early to mid 1980s. After the democratization process began in 1988, Jeongbeophoe transformed officially to Minbyeon (Lawyers for a Democratic Society) since non-governmental organizations were then allowed to register with the state. With 51 co-founding members, Minbyeonwas very busy in its early years taking on cases of those accused of violating the National Security Law and the Law on Assembly and Demonstrations, usually for having protested. As civil and political rights became more secure in the 1990s, an expanding network of lawyers collaborated with civil society organizations to promote social and economic rights in the areas of labor, consumer advocacy, environmental rights, and gender equality. With the newly established Constitutional Court, lawyers began to bring cases to challenge existing laws, such as the National Security Act, conscientious objection, and discriminatory family law. For example, a momentous decision in 1997 determined that the marriage ban on couples with the same surname and ancestral base was unconstitutional. The Court considered this law to violate constitutional principles of equality and respect for citizens’ lives, dignity, and happiness. Other suits challenging the male head-of-household system (hoju-je) were also brought before the Constitutional Court, ultimately leading to its abolition in 2005. In the past two decades, lawyers have started to call themselves public interest lawyers rather than human rights lawyers, which had heavier political connotations. Small public interest law firms also have started to emerge. Gonggam was the first public interest law firm to form in 2003, focusing on the rights of social minorities, such as migrant women, refugees, people with disabilities, and sexual minorities. Others have followed within the last ten years, such as Advocates for Public Interest Law (APIL), Korean Lawyers for Public Interest and Human Rights, Immigrants’ Advocacy Center Gamdong, and Dongheng. Leading law firms in Seoul such as Bae, Kim & Lee and Jipyong have also established public interest law foundations and centers, Dongcheon Foundation and Duroo, respectively. These centers have both full-time public interest lawyers and in-house lawyers available to handle pro bono cases. Meanwhile, bar associations continue to have various rights committees and networks that allow lawyers to collaborate on cases for certain causes. The bar association’s pro bono requirement has also led lawyers to take on more voluntary cases in general. Constitutional petitions and arguments are often part of the legal strategies of public interest lawyers, relating to cases securing rights for asylum seekers, migrants, people with disabilities, and the LGBT community. For example, disability advocates including lawyers from different public interest law groups and law firms frequently challenged the constitutionality of inadequate public services. The Constitutional Court has made both favorable and unfavorable decisions in the early 2000s with regard to disabilities, but even negative outcomes have spurred stronger advocacy that have then led to successful legislation, such as the law enacted in 2005 requiring improved transportation service and mobility access. In a more recent example concerning asylum seekers, APIL petitioned the Constitutional Court in 2014 to allow access to counsel for a South Sudanese asylum seeker who had been detained in Incheon Airport. The Court granted this request as a temporary measure, citing the Refugee Act and the Habeas Corpus Act, for the individual case at hand. Just recently on June 8th, the Constitutional Court finally and unanimously announced its decision that it is unconstitutional to prevent a detained asylum seeker at a port of entry from having access to counsel. While public interest lawyers rely on constitutional arguments and petitions to advocate on behalf of aggrieved parties, not all cases can win on constitutional merit alone. When it comes to minority rights protection, public interest lawyers must usually resort to a full repertoire of legal mobilization tactics to secure these rights, such as filing petitions with the National Human Rights Commission of Korea, leveraging UN human rights processes, legislative lobbying, bill drafting, media campaigns, assembly and protest, and education. The scope and sophistication of public interest lawyering in South Korea has much to offer in the way of comparative learning, especially as rights protection for social minorities continue to be at risk globally. 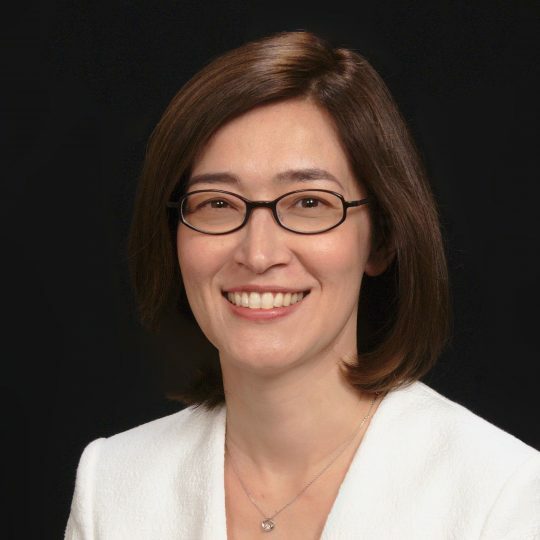 Patricia Goedde is an associate professor at Sungkyunkwan University, School of Law and was appointed Associate Dean of Academic Affairs (2016-2017).